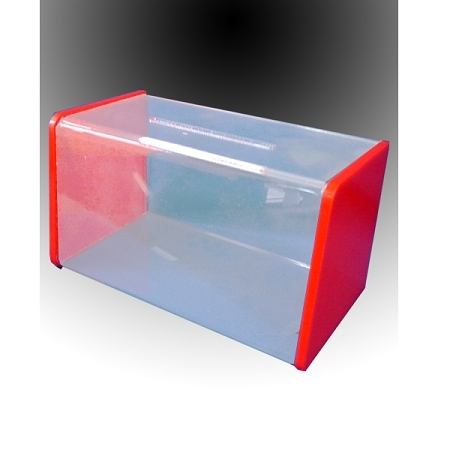 This high quality clear acrylic money or tip box has a clear back that you slides and locks into box. 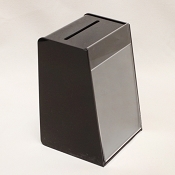 Easy to collect your money or entry slips. 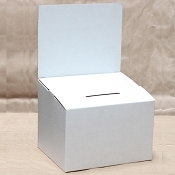 You can also use this collection box for raffles, contests and trade shows. Your choice of black or red sides. When ordering please specify the side color you prefer in the Comment area during check out.